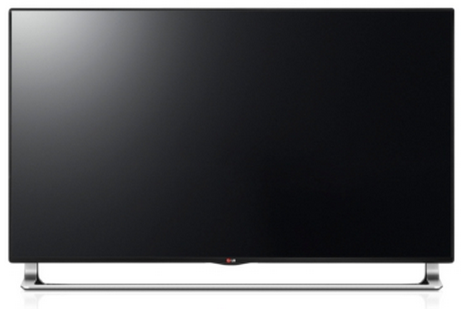 LG has announced full-backlit LED 55-inch and 65-inch models to expand its ultra high-definition 4K line of TVs. In addition, there has also been released an 84-inch UHD model, which is the first to be made available to buyers in the United States. The 55-inch and 65-inch ultra high-definition TVs feature 4.1-channel 50-watt sound system that includes LG’s sliding speaker, which is mounted on a motorized sound bar that automatically surfaces beneath the panel. Additionally, LG used its Nano Full LED backlighting along with an IPS display to form the display screen. The TVs feature a picture resolution of 3840 x 2160, as well as the Tru-Ultra HD engine that upscales content via a four-step process. In addition, the LA9700 utilized an H.265 HEVC (high-efficiency video coding) decoder, which will make the sets compatible with new 4K standards that may be implemented in the future for streaming and broadcast. In addition, the 55-inch and 65-inch models feature the Smart TV offering from LG, which provides features like Cinema 3D and Magic Remote for voice control. The smaller model has a suggested retail price of $5,999, says LG, while the 65-inch model has a suggested retail price of $7,999.